Photo courtesy Abbot Kinney Festival Abbot Kinney Festival. 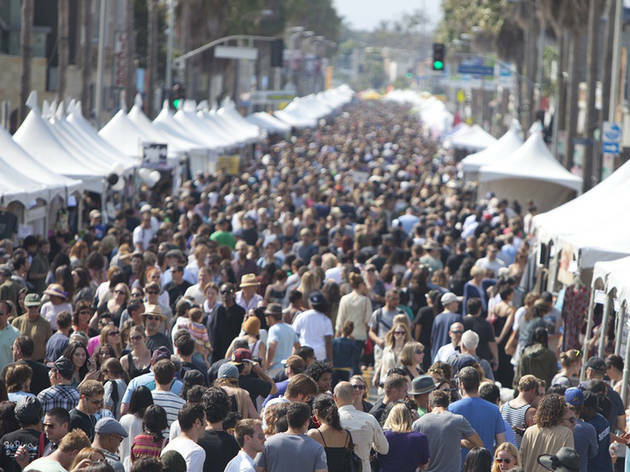 Take every artsy street fair you’ve ever attended, add all the stereotypes about Venice Beach and you’ve got the general idea. At this year’s festival, dozens of top food trucks and booths will be on hand, as well as four live music stages. Get your drink on in three different beer gardens, or shop from local vendors selling art, jewelry and other handcrafted goods.